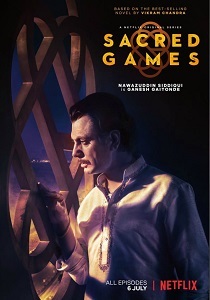 Review Summary: 'Sacred Games' is prestige drama. A fantastic original to herald Indian television to new heights. Anurag Kashyap & Vikramaditya Motwane Achieve Nirvana! Bollywood mainstay Saif Ali Khan leads a who’s-who of tremendous talent in a show helmed by two of the industry’s most interesting directors, but its spectacle lies mostly in its lurid texture.